Mystique Grove is a 5 reeled modern video slot game with 1024 pay ways. The game has plenty of rewarding feature that will pay out to players in a big way. 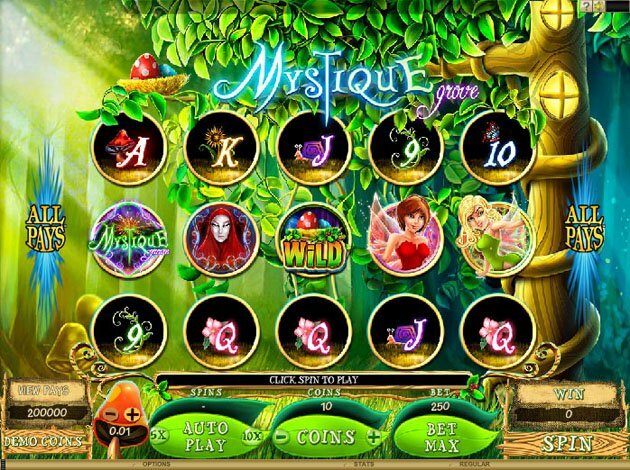 Mystique Grove Slot . Mystical things can happen in a land where fairies have powers to grant unimaginable wealth… welcome to Mystique Grove slot machine!